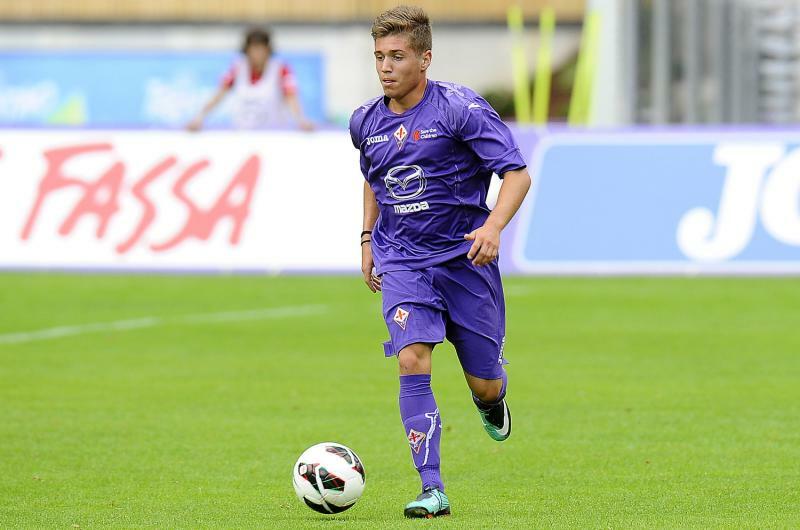 Axel Gulin scored Fiorentina’s first to put them 3-0 up on aggregate. Juventus will not retain their Coppa Italia Primavera title after they were beaten 3-0 by Fiorentina in the semi-final of the competition this evening. Andrea Zanchetta’s side already had a mission on their hands after being 2-0 down from the first leg a week ago. La Viola didn’t sit back and relax and found themselves 3-0 up by half-time. Goals from Axel Gulin, Leonardi Capezzi and then Nicolò Fazzi ensured that Fiorentina would face Lazio in the final, after they beat Inter Milan in their semi-final. Gulin’s goal came after just three minutes as he was thread through and managed to angle his body to fire home in a one-on-one situation. Capezzi’s goal was the highlight, as the midfielder pounced on a loose ball from 20-yards out and sent a superb lob over the goalkeeper into the far corner of the net. Fazzi showed terrific strength to hold off a defender as he edged his way into the box to slot home for Fiorentina’s third and all but secure their place in the final. Watch highlights from the game on Fiorentina’s official TV channel here. Follow @theyouthradar on Twitter for the latest news and reaction from the Coppa Italia Primavera.